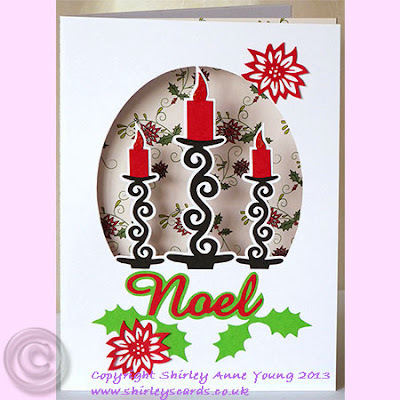 I love candles especially at Christmas so decided to use them as the theme for this card. Although it doesn't show up much in the photo I put sparkle on the flames and it looks really effective. I made use of the poinsettias to design a co-ordinating backing paper.